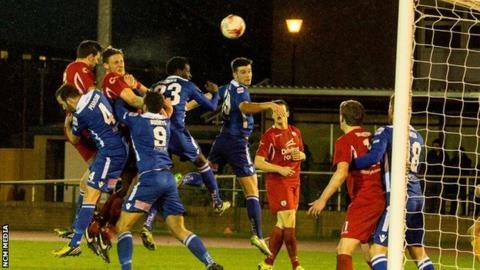 Gap Connah's Quay will play in Europe for the first time next season after a 1-0 win over Airbus UK Broughton in the Welsh Premier League play-off final. Wes Baynes scored the only goal of the game with 11 minutes left to secure victory for Andy Morrison's side. Nomads will earn more than £150,000 by booking their place in the Europa League qualifying rounds. Airbus' defeat in the play-off came only two weeks after they lost to New Saints in the Welsh Cup final.